The following product is clinically approved for use as an alternative to Air Optix Night & Day Aqua. 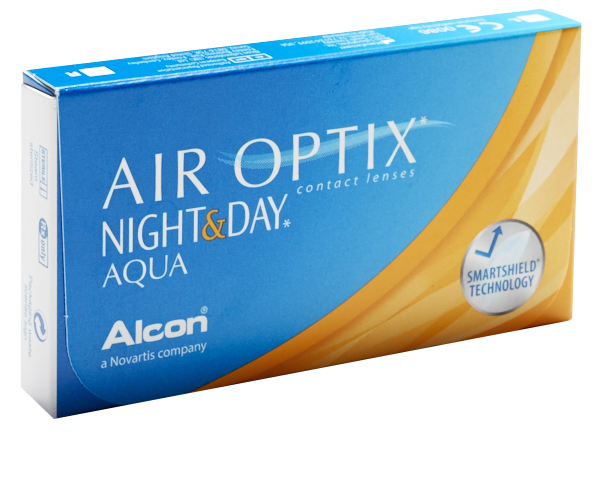 The AirOptix ®Night and Day® Aqua contact lens combines oxygen and moisture to contribute to outstanding wearer comfort on contact all day, every day. This material is claimed to provide up to 5 times greater oxygen transmissibility than traditional contact lenses. *Follow your Eye Care Practitioner’s instructions regarding overnight use and sleeping in your contact lenses.